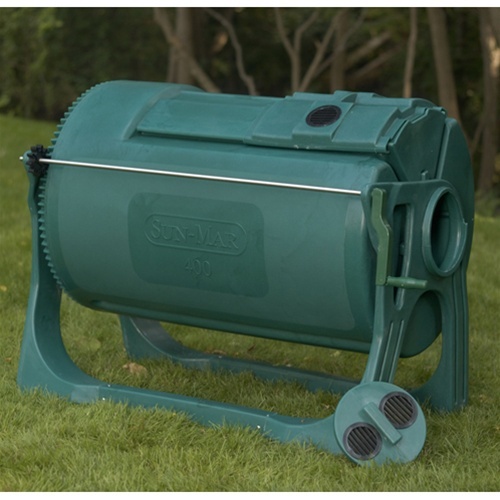 Compost Tumber Bin | Sun-Mar 400 | Free Shipping! 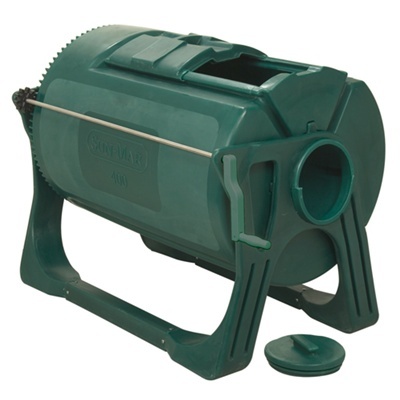 The Sun-Mar 400 Compost Tumbler Bin makes composting at home a fast and easy process, and with little to no odor! 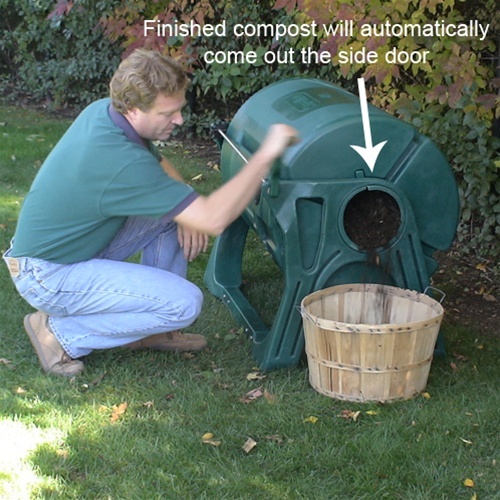 This compost bin is a continuous composter. 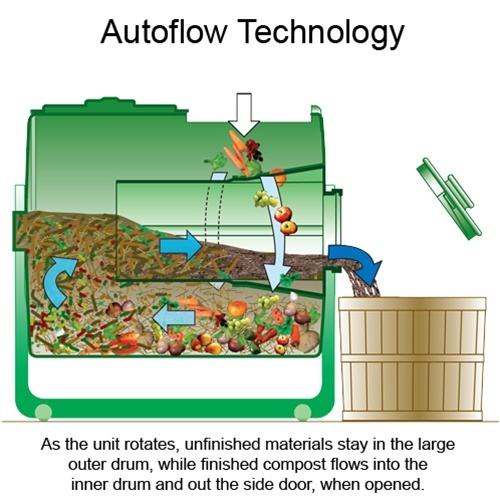 That means you can add new material and remove finished compost simultaneously. 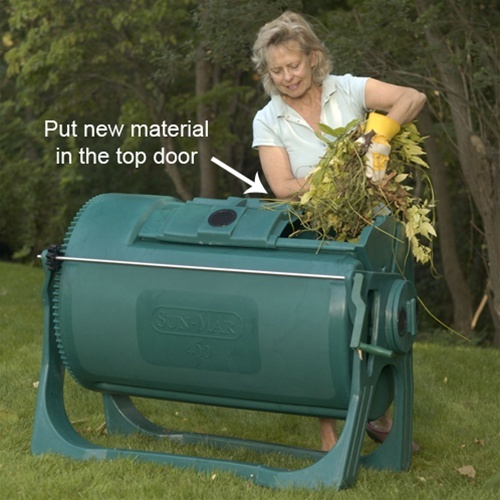 The Sun-Mar 400 has a 100 gallon capacity, excellent for composting kitchen scraps and a cut up trimmings from a small garden. New material goes into the sliding door on top of the bin. Rotate the drum twice a week. In about 6 weeks, you'll have finished compost ready to be removed from the side door! 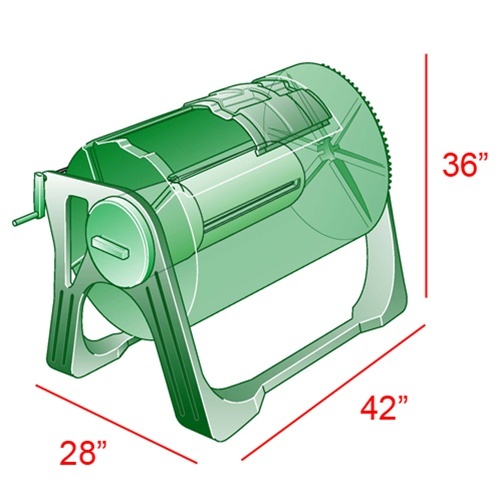 This continuous composter means you won't have to wait for batches to finish composting! 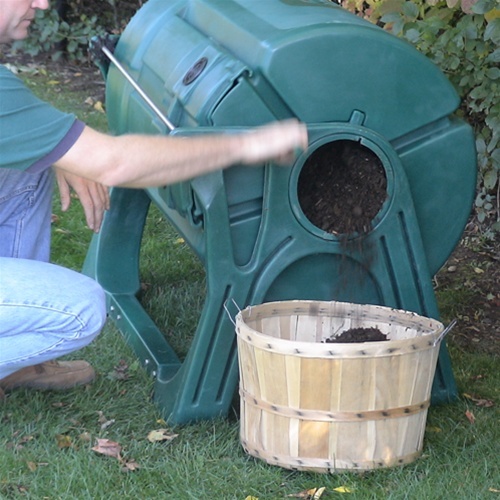 You can remove finished compost and add new materials at the same time. Input door height is 33" and output door height is 18"